Joseph Haydn was born in Rohrau on March 31st,1732. He was the second of twelve children of Maria and Mathias Haydn, a blacksmith and coach builder. Rohrau is an idyllic village close to the embankment of the river Leitha in the eastern part of Lower Austria. Joseph and his younger brother Michael (born on September 13th 1737) were baptized in the local parish church St.Veit. 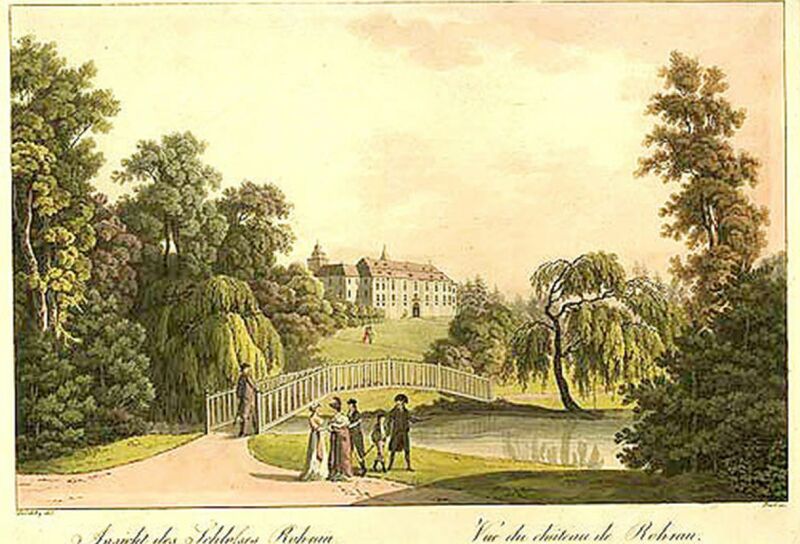 Maria Haydn, née Koller, worked as a cook in the service of the Earl Harrach in his Rohrau castle. Though both parents could not read music the big family enjoyed singing and making music a lot. At a very early age it became apparent that young Joseph, as well as his younger brothers Joseph and John Evangelist a few years later, were capable of an extraordinary musical talent. Joseph was enthusiastic about all sorts of instruments, or even tried to produce sounds and melodies with various objects. He was especially interested in the rhythms of tympanums and kettle-drums. Many years later, when Joseph was already an internationally celebrated composer he still liked to play the part of the kettle-drum when his symphonies were performed, which of course highly pleased the audience. Joseph´s father Mathias, playing the harp and the violin himself, soon realized his son´s talent and his extraordinary interest in music and offered him the opportunity of a thorough musical education. At the beginning of Joseph´s career the distant relative Johann Franck, a headmaster in Hainburg, supplied the money for the costs. In addition to Reading, Writing and Arithmetic Joseph was taught to play the piano, the organ, the spinet and the violin. He also got vocal training and his voice was equally remarkable. So Joseph arose the attention of Johann Carl von Reutter , chapel master of St. Stephen´s in Vienna, who was travelling through the area in search of extremely talented choir boys. Consequently director Reutter took the eight year-old Joseph with him to Vienna, where he stayed as a choir boy for the next nine years. Five years later Michael followed his elder brother and joined the choir of St. Stephen´s.